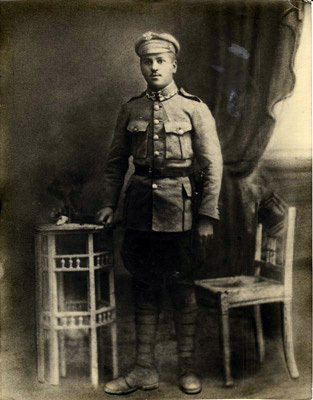 Mortre Mendel Ajzensztark, Francine's father, in the Polish army. In France, his name became Maurice Ajzensztark. Poland, ca. 1917.